Fallout 76 has been revealed by Bethesda over the past days, as an online spin-off title to the Fallout franchise. There’s not much information about the game yet, other than some rumors and its teaser trailer, however, we can do our own theory-crafting about its setting and era before we finally get to see the game at E3 2018. Shall we? 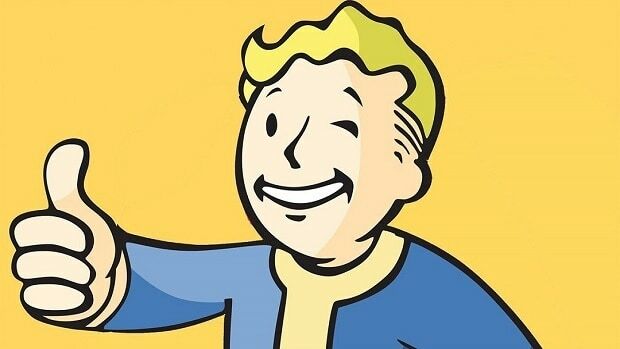 What we are sure about Fallout 76, for now, is that it has something to do with Vault 76, one of Vault-Tecs control vaults. What this basically means is that Vault 76 was a center vault and not one of the experimental ones we see destructed in past Fallout games. This is backed up by information found in Fallout 3 and Fallout 4, giving more credibility to the vault’s prestige at the time. Vault 76 was supposed to be locked down in case of a nuclear war after 20 years and had 500 occupants in total. 2065 – Construction of Vault 76 begins. 2069 – Construction of Vault 76 ends. 2076 – The United States celebrates its Tricentennial. 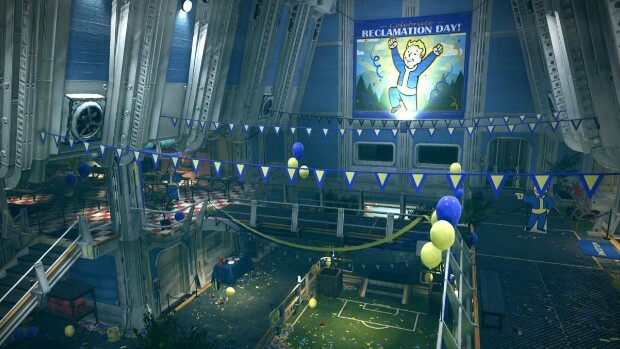 Vault-Tec opens Vault 76 in honor of the event. 2077 – Fallout Prologue – Nuclear War starts. 2102 – Fallout 76 Teaser Trailer Set with Dweller (possibly you) leaving Vault 76. 2161 – Original Fallout Starts with Vault 13’s Overseer, Jacoren, sends the Vault Dweller out into the wastes to find a replacement of the Vault 13 water chip. 2241 – Fallout 2 Starts with the Chosen One beginning his mystic test, descending into the Temple of Trials like his mother before him. 2277 – Fallout 3 Starts with James disappearing from Vault 101 and his son/daughter, the Lone Wanderer (aged 19), heading to the surface to search for him. 2281 – Fallout: New Vegas Begins with the Courier regaining consciousness and leaving Mitchell’s house in Goodsprings. 2287 – Fallout 4 Starts with the Sole Survivor leaving Vault 111, exactly 210 years after the start of the Great War in search of their son Shaun. 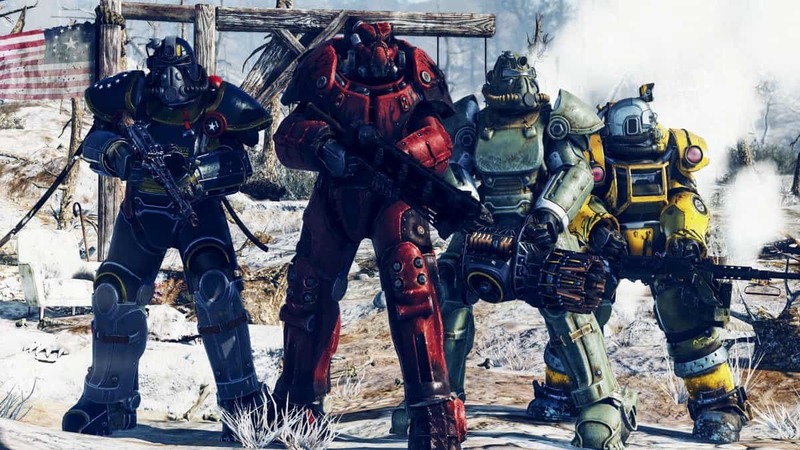 What the list shows us is that Fallout 76 is set before any of the franchise’s past titles. This gives Bethesda countless new options as to where the game could go since the mainline story will not be compromised in any way. There are still some questions about its setting and what could have happened but there’s room for theories in those areas too. As we’ve seen (and heard) from the teaser trailer for Fallout 76, the game must be set in West Virginia since decorations and music point to a more country-side theme. If you pay close attention to the trailer you’ll find many hints pointing to the era the game is set in, however, it creates even more. The Pip-Boy seen in the first scene of the trailer seems to be a really old product of Vault-Tec, possibly an older model than the one we’ve seen in the original Fallout. The date and hour are almost identical to that of Pip-Boy 2000 seen in Fallout along with the light bulb alarm, which also proves that the game might set before the events of the first title. What might come to some confusion is why in the trailer we see Vault 76 being completely empty, yet it seems like occupants left in a hurry. Given the lore information, the vault was supposed to open 20 years after the nuclear war happening at 2077 so we expect it to be open by 2097. However, this seems to be happening in 2102. What could cause this? Did someone forget to check the calendar or were there environmental dangers vanishing as fas as a few years? If Fallout 76 is really set before the original Fallout and it bears some story details then it might have something to do with the creation of the “Master”, the main antagonist in the original Fallout. This comes as a big coincidence since the Master seems to be making a name for himself at 2102, the year Vault 76 opens as we see in the trailer. The Master, originally Richard Moreau, was trapped in the Mariposa Military Base, left to be mutated by VACs after he was trying to find the source of mutated animals rampaging the Wasteland. There, he turns into a hideous FEV-mutated creature that has somehow hybridized with not only other human mutants but also computers, turning him into a rather strange monster who speaks in multiple voices. His presence is one of the most iconic and disturbing ones in the whole franchise, as his rule took over the Wasteland during the original Fallout. The existence of the Master, who was also the one creating the first types of super mutants, might mean that those types of enemies could be present in Fallout 76 too. If that is happening then they’ll be premature types of mutants but will seemingly be more powerful since the game is set way before the events of the previous games which have more advanced technology. This is most of what we could find about the era Fallout 76 could be set in so far. Everything points out to the game being set before the events of the previous games, however, we’ll have to wait until E3 2018 to know for sure. Do you have more theories about Fallout 76 setting? Let us know in the comments below.